How do you choose a scripture for a devotional? If an idea for a devotional comes to you through a Bible verse — or if you’re assigned a scripture to write about — then choosing a verse for the basis of your devotional is a moot point. The choice has been made. 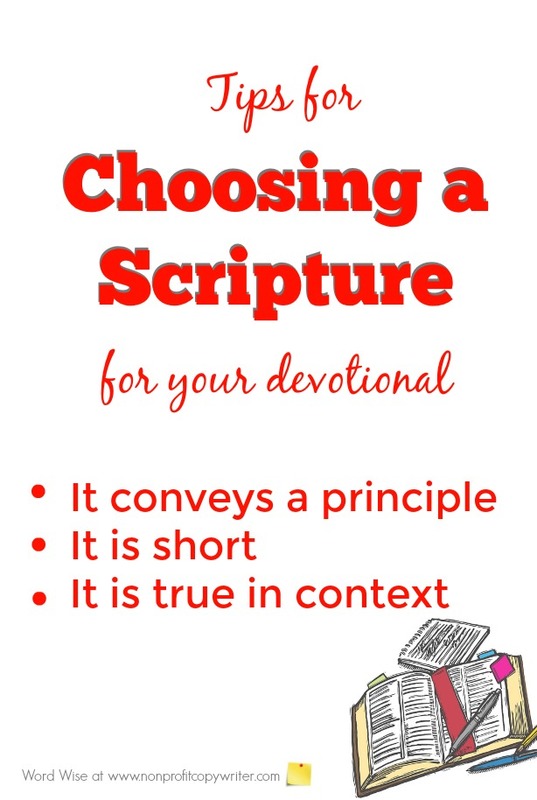 But if you get an idea for your devotional by another means – say, through an illustration or a takeaway – then you need to choose a scripture that reveals that idea. Here are some tips to help you as you dig around. Should you stay with familiar passages because they resonate with readers … or should you choose less well-known passages in order to connect readers with a wider base of the truth? The answer is “yes!” to both. I say this because of an experience I had when my daughter invited me to hear a well-respected speaker. His 45-minute message was based on Psalm 23, the beloved Shepherd's Psalm. I memorized Psalm 23 years ago. I have had my children memorize it. I have attended dozens of funerals in which Psalm 23 was the cornerstone passage. Could anything said that evening be new or fresh? Yep. The speaker zeroed in on one tiny phrase – specifically, Psalm 23:3: “He leads me in paths of righteousness for his name’s sake.” Whereas much of what I have previously derived from this beloved passage has always been about the Shepherd’s presence, comfort, and protection, now I had another insight. One reason God leads me to walk in His paths is for His reputation — for “his name’s sake.” A familiar passage now has another layer. 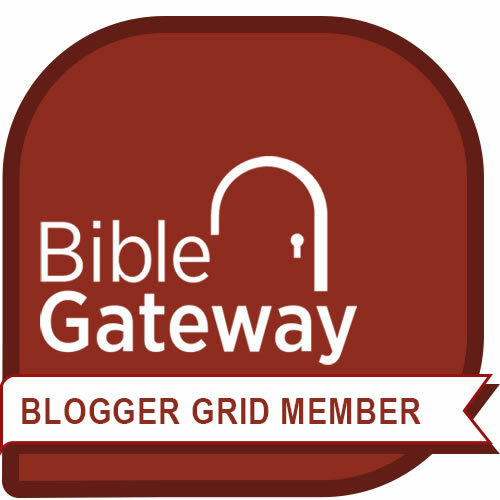 But don’t be afraid to dig into less-trafficked territory in the scriptures. You will uncover riches when you’re compelled to spend time in parts of God’s Word that are less familiar. Maybe an editor assigns you a set of devotionals to write from one of the minor prophets or a set of writer’s guidelines specify, “We like to publish meditations based upon lesser-known portions of scripture.” Or maybe as you work to get the devotional’s point, you study unfamiliar passages. I say, “Great!” Dig in. Familiar scripture or unfamiliar? It doesn’t matter. What matters is that it conveys the spiritual truth of the devotional. One of the land mines in devotional writing is the danger of quoting a scripture out of context. In order for your devotional to be powerful, its scriptural basis must be faithful to the truth it communicates. As you study the passage, examine it in context. Does it stand alone out of context and still convey biblical truth? If you can answer yes, then use it. A good way to confirm that you’re reading context accurately is to compare the principle to other places in scripture in which it is referenced.